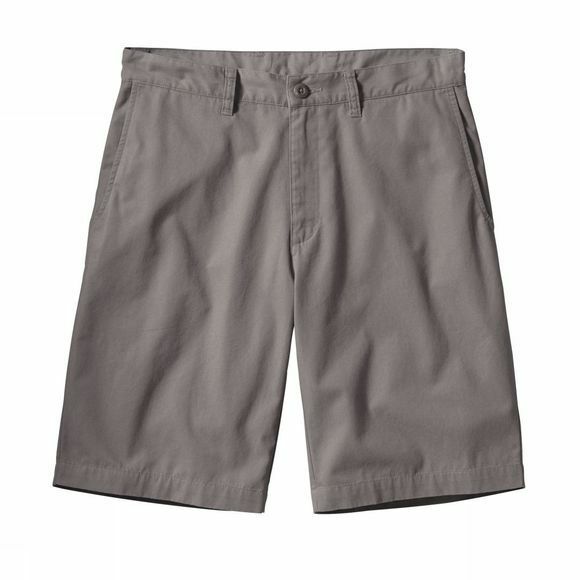 Home Clearance Online SALE Trousers & Shorts Mens All-Wear Short 10"
Patagonia Mens All-Wear Short 10"
Subtle and uncomplicated, Patagonia's All-Wear Shorts for men are a step up from your old chinos hacked off at the knees. Set for the road, the boat or the local market, these everyday shorts strike a casual balance between lightweight comfort and long-wearing durability. Made from organic cotton canvas they are easy to wear and feel smooth, while remaining hard to wreck. Featuring classic flat-front chino styling, belt loops and zip front with button closure. Two slanted side-entry front pockets and two welted back pockets provide plenty of space for essentials.